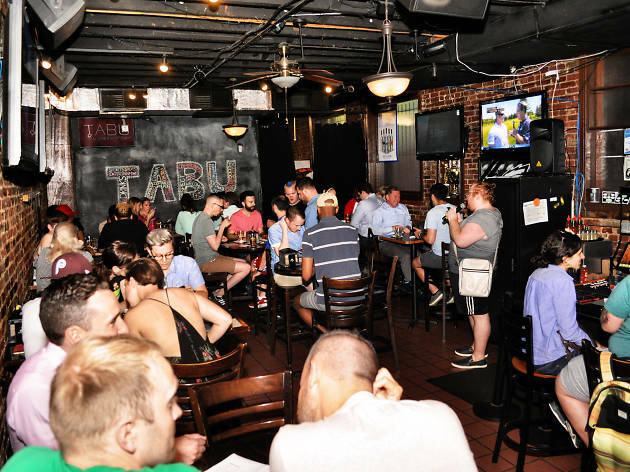 Located in a two story rowhome, Tabu is Philadelphia’s first gay sports bar. It wears that badge proudly in its downstairs bar decked with big-screen TVs playing whatever sports game is hot that night. The kitchen in the back keeps bellies full with a selection of lunch fare throughout the day, including customer favorites like tater tots and tacos. The scene is decidedly different as you enter the modernly decorated upstairs lounge. 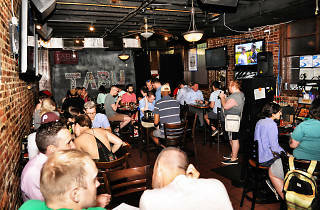 There you’ll find another bar, one that’s slightly more upscale than the sporty one downstairs, and a performance stage that plays home to performances—from drag shows and burlesque to singing and comedy competitions—most every night of the week.